We have now introduced our Surface Mounted Egg Crate Grille range to compliment our other grille products. 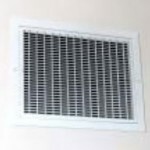 Egg Crate Grilles can be used for both Supply Air and Return air or Exhaust Air installations. 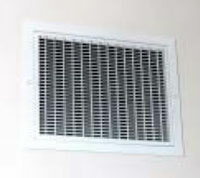 The grilles can be used for conventional air distribution systems or for stand alone ventilation systems. These grills are most often used in ventilation systems found in Shops, Offices, Hotels, Schools, Restaurants and other commercial properties. The standard grille construction is of extruded aluminium sections and mitred corners. The internal core can be fixed or removable depending on the requirements. Standard finish is a white polyester powder coat. As well as the standard White Polyester finish, Silver, Black and plain milled aluminium, you can also order the Egg Crate Grilles in a range of standard RAL colours see chart. The grilles are also available with opposed blade dampers fitted to the rear and adjustable through the grille core. More information on our range of Egg Crate Grilles, please contact us.